Macron is an open borders globalist whose country has flagged “more than 78,000 people” as jihadist security threats in 2017, even more than there are in Germany and the UK. Christine Tasin, the President of “the French anti-Islamization movement,” Résistance Républicaine, gave three reasons: “there are more Muslims, more criminal Muslims and the Muslim Brotherhood has more influence in France than in any other EU state.” This is thanks to Macron, who, like other globalist leaders, pays no attention to these warnings and exposes his citizens to danger. Very much like Trudeau in Canada & Merkel in Germany. Speaking before a gala lobster dinner on Wednesday, at which Denmark’s Queen Margaret was in attendance, Macron praised the Scandinavian nation as one which is “completely open to the rest of the world” compared with a France whose people he said showed a “Gaulish stubborn resistance to change”. France has a “deep and complex identity, which has always been thought of as universalism”, the former investment banker said, before stating he believes he has succeeded in provoking “cultural change” in the native since his election last year. “People are changing their minds, they are much more open to risk,” he told the event, which was broadcast on Danish television. 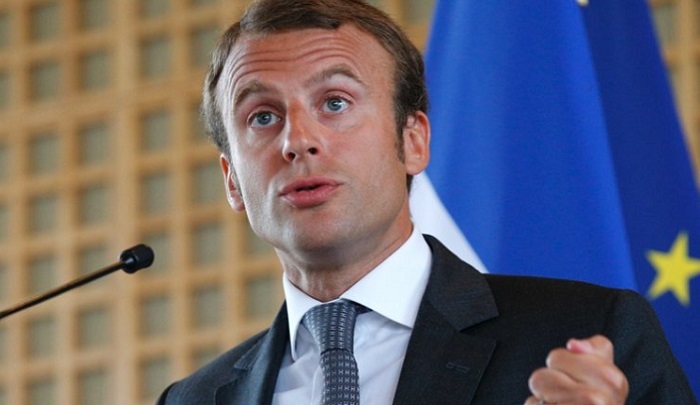 Asked by a Danish student about the future of national identities in Europe, Macron said that “the ‘true Dane’ does not exist….. The first legislative rider abolished the obligation of religious associations to declare themselves as lobbying groups — a measure that clearly opens the way for entities such as the Muslim Brotherhood to lobby Members of Parliament without leaving a trace. Is it, however, the business of the secular State of France to organize Muslims and train “republican” imams? The tradition in France ever since the 1905 secularism law — one accepted by all religions except Islam — is that religion may not to impose its rules on secular society. Now it is France that must adapt to Islam. The big question is: Who will be heading and managing this new framework? 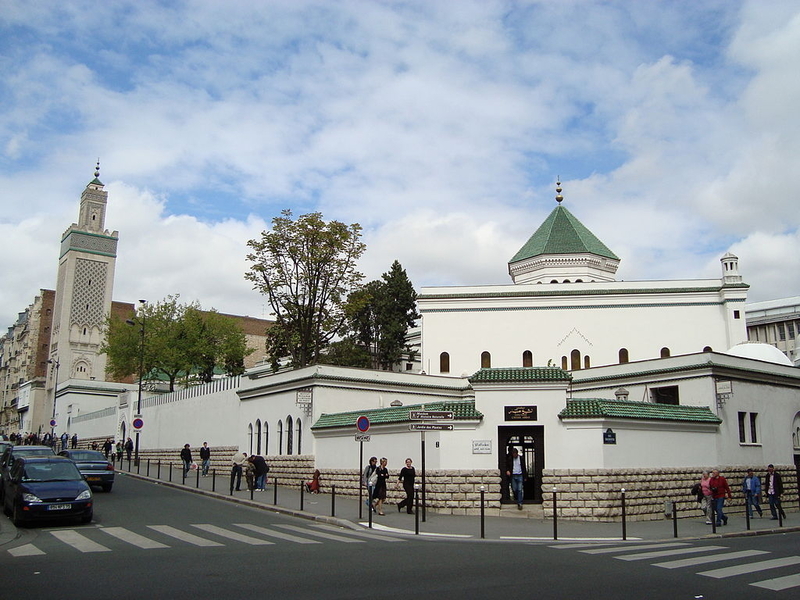 Will it be the Muslim Brotherhood, the most powerful organization, which controls more than 2,000 mosques in France? Or a young guard of Muslim technocrats close to the president but with no ties to mosques, imams and the organized Muslim community in general? The Grand Mosque of Paris. In a confessional book, “A President Shouldn’t Say That…”, published in 2016, a few months before the 2017 French presidential election, France’s then President François Hollande admitted that France has “a problem with Islam. No one doubts it,” he wrote. He wrote as well that France has a problem with veiled women in public and with mass immigration. Then he added: “How can one avoid a partition? Because that is still what is happening: a partition”. The “partition” about which Hollande was talking was the partition of France — one part for Muslims and another for non-Muslims. I knew Macron was a globalist but I did not know how intense and deep he believes in gloabalism, open borders and a new global identity. Merkel and Macron and May have NO children. What do they care? I am so glad Macron opened his mouth and put his foot about 3 feet in while in Denmark. This ensures a LePen super-majority victory to come!